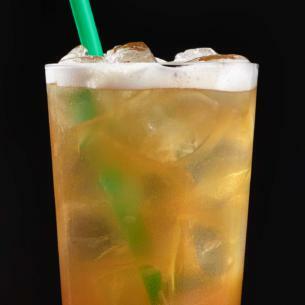 Delicious Teavana® black tea sweetened with real cane sugar, mixed with refreshing lemonade and hand-shaken with ice. This delightfully refreshing handcrafted treat pairs perfectly with a sunny afternoon and a porch swing. Ice, Lemonade Base [Water, Lemon Juice, Sugar, Lemon Oil], An Infusion Of [Water, A Blend Of Black Teas], Sugar. American golf pro Arnold Palmer popularized the combination of iced tea and lemonade more than 50 years ago.